I am honored to join the Wine Market Council team and I look forward to building on the great work done by John Gillespie over the last two decades,” said Steve Burns, newly appointed President of Wine Market Council. Wine Market Council announced today that industry veteran Steve Burns has been named President of the non-profit trade association. Burns replaces twenty-year Wine Market Council president John Gillespie, who will retire from the position at the end of November. Burns and Gillespie will work together over the next month to ensure a smooth transition. 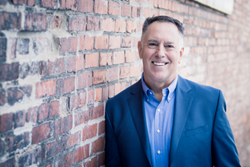 For two decades, Steve Burns has specialized in re-alignment, board development and management for associations. Most recently he is the owner of O’donnell Lane L.L.C., a marketing, public relations and strategic planning firm for associations. Prior to that, Burns was the Executive Director of the Washington Wine Commission where he served from 1996-2004. Burns began a career in the wine business in 1990 as the International Marketing Manager at the Wine Institute. From 1984 to 1989, Burns was special assistant to Governor George Deukmejian, participating in California's expansion in opening trade and investment offices around the world. Wine Market Council provides its proprietary research to association members only. Upcoming research projects include the Annual High Frequency Wine Consumer Survey with a Special Topic on Premiumization (December 2017), the Occasional Wine Drinker Survey (January 2018), and The Changing World of Retail Wine Shopping Survey (March 2018). To access Wine Market Council research, you must be a member. Membership dues are based upon different criteria that are dependent upon your association with the wine industry. You can inquire about membership at the Wine Market Council website WineMarketCouncil.com or email Wine Market Council at SBurns(at)WineMarketCouncil(dot)com. Media questions and requests should be sent to contact(at)teplinnuss(dot)com. Wine Market Council was established in 1994 as a non-profit (501c6) trade association whose mission is to grow and strengthen the wine market in the U.S.